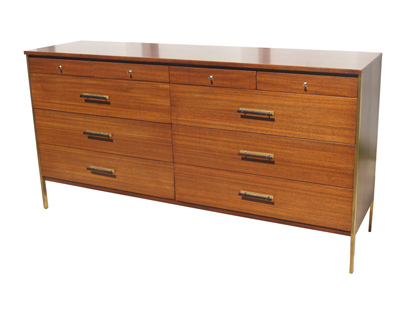 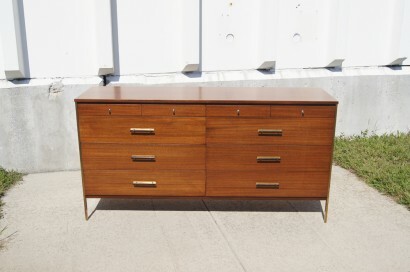 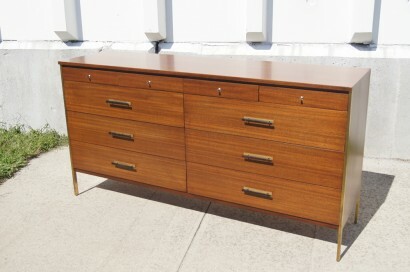 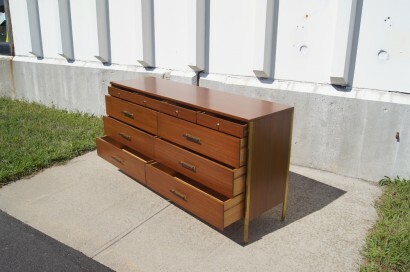 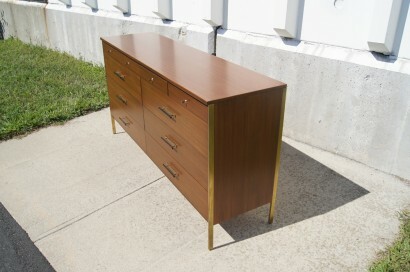 This dresser was designed by Paul McCobb and manufactured by Calvin furniture. 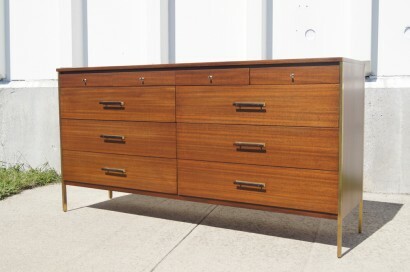 It is constructed of mahogany with a brass frame and brass accents. 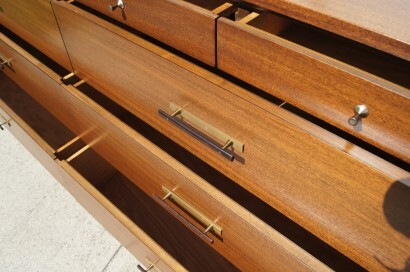 The dresser has six large drawers and four small drawers. 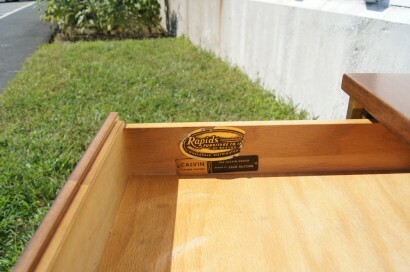 Original label is intact.